So that’s great news and since then, I’ve been experimenting with two more substances to alleviate constipation: magnesium oxide powder and Triphala powder. Triphala is an Ayurvedic herbal remedy derived from three different fruits (amalaki, bibhitaki and haritaki) that helps to correct constipation. It cleanses and tonifies the gastro-intestinal tract, promotes detoxification of the whole body and improves digestion and assimilation. Triphala also helps to reduce high blood pressure and hypertension and improves blood circulation. The great thing about Triphala is it is not considered a laxative. It is viewed as more of a bowel cleanser and tonifier and hence it is safe for long-term or ongoing use. It tastes quite bitter, so whilst Absorb Plus masks it really well, just mixing it in juice makes it very hard to get down! Hence you may want to take it in capsules, if you can swallow pills. I experimented with the powdered organic Triphala. 1 tsp added to my Absorb Plus shake was definitely noticeable, but still tolerable. At that dose, I felt some pain in my lower abdomen – but it felt more like a muscle pain than an intestinal pain. At 1/4 tsp, the Absorb Plus masks it quite well and the bitter taste is only mildly detectable. I still experienced a bowel clearing effect at the 1/4 tsp dose, but no pain or discomfort. A reader whose girlfriend has very slow bowels said she uses 2 tsp per day, whilst he could not tolerate more than 1 tsp per day. So I suggest you start with 1/4 tsp (1-2 capsules) and gradually increase from there to find your tolerance level. 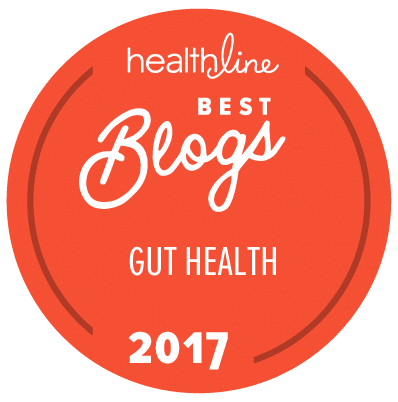 I REALLY like the idea of using Triphala for constipation as it is not just producing a bowel movement, but addressing the long-term dysfunction that often underlies constipation. For those of you who prefer to use magnesium – or perhaps a mix of Triphala and magnesium works best for you – I have been testing pure magnesium oxide in powder form (available from NOW supplements). Although its absorption is very low, it is probably the easiest form of magnesium to use since it has virtually no taste! In the pure powder form from NOW, only 1/8 tsp = 200 mg. So you also need to use very little. It works well just mixed in water – since it is so tasteless. And of course, you can mix it into juice or a smoothie undetectably. The easiest way for me to take it, since I was travelling, was to take a sip of water and hold it in my mouth. I tipped 1/8 tsp into the mouthful of water and swallowed. Then I would follow it with at least half – 1 glass of water. In this form, the magnesium oxide causes NONE of the abdominal discomfort that the magnesium citrate does! So you can take it easily on an empty stomach, and with nothing other than water – you don’t need to buffer it. But then make sure you are taking your magnesium in nanoparticle form to ensure a good supply for your body’s use – since magnesium oxide is only about 5% absorbed. Hope that helps… And if you haven’t checked out my new book on constipation remedies yet, be sure and get the free downloads and watch the videos! Is there a particular brand and strength of Triphala that you would recommend? I noticed that Planetary Herbals is big on it and also that Depak sells a different one on his website. Not at this point Crystal. If you buy from a reputable supplier and make sure it’s organic you should be fine. Excellent Bill! Thanks for sharing. I’m so pleased for you, and congratulations also for being so proactive with your health. 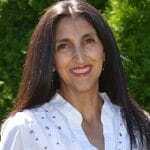 Dr. Barruscano (Lyme doctor) recommends magnesium lactate (which is hard to find) because it absorbs better than other other magnesium…true? I don’t know how it would compare to citrate, but it absorbs better than oxide for sure. However, it would be less than the nanoparticle-sized magnesium. Question…does triphala need to be taken at at any particular time, and can it be included in a shake in the morning? That’s great. Thank you so much for the info. Nice article you got their. I heard a lot of things about it. Triphala does the trick. I have been using AOR brand “Triphlax” which is excellent. It contains only Triphala. I have been trying to give my 5 yr old Natural Calm in hopes the magnesium will help his chronic constipation he has had since birth but I can hardly mix any into his juice or you can taste it so I am not able to get much in each day for it to make a difference. If I get the magnesium oxide it should do the same thing and it has no taste? Also, is there a l-glutamine that kids can take? I am wondering if that might be good for him. He’s 48 pounds. However, it’s best to check with his physician if you’re unsure how it will interact with his specific health situation. Triphala shouldn’t adversely affect the UC protocol at all. We’d suggest taking it with a meal (or Absorb Plus if you’re currently elemental) just in case, though. I have been on opioids for 10 years and the last 5 have been horrible due to constipation… tried linzess for 2 months and nothing…. took Goelytlely and it just made a path through my digestive track, it did not flush me out. I was constipated the very next morning and in less than a week I was just as miserable. I have tried everything… the only thing I have found that works is triphala. I take it in a caplet form. I also take mineral oil by mouth. The combination works better than anything Ive tried in 3 years. I am so glad that it can be taken long term but I am going to have to get on relistor or something that battles OIC. Unless someone has a better plan. If you have any other questions concerning it please let us know. 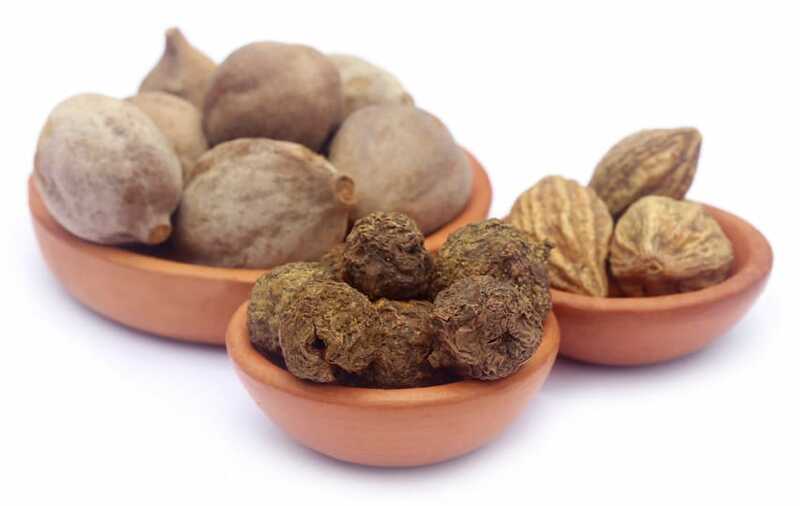 As stated in the article Triphala may be beneficial in treating constipation. However, it is recommended to start at a lower dose of 1/4 tsp to see how your gut handles it. We are unaware of any danger to the gut it could cause. However, we recommend to listen to your gut in what it can handle, and then start things at low doses slowly to see how your individual body handles it. If you decide to try it we would love to hear how it works out for you. Please let us know if we can help with anything else. Hi, whta would be a good dosage for my 4 1/2 yo? You can you start with 1/4 tsp for the Triphalla and gradually increase from there to find his tolerance level. For the Magnesium Oxide, start with 100-200 mg. If I am allergic to Whey, would the vegan elemental shakes work well with Triphala if I have slow motility in the colon? Usually extra magnesium doesn’t do much, and most times the bulking fibers (psyllium, etc.) just get stuck even with lots of water. Is it fine to take triphala and magnesium capsule supplement together the same time? I am currently taking Organic India Triphala and thinking of adding magnesium. Organic Triphala works very well for me. I take 500mg in pill form .Is that enough? Can I take triphala while I’m taking Trulance ? All for constipation severe . I wish I had a better answer for you but I’m afraid we’re unable to comment on prescription medication as we are not licensed health professionals. We recommend posing this question to your doctor and we would love to hear what you find out. Would there be cause for concern to take Triphala and Psyllium Husk at the same time. (I add pysyllium husk to my morning shakes and would take Triphala in the evening). Thanks! Jini used to recommend Metacleanse (contains psyllium along with flaxseed and bentonite) useful for relieving constipation. But we have not tried mixing it with Triphala. You can test a small amount and see how your body reacts. If you do decide to try this, we would love to hear how it works out for you. Did you ever think of using the homeopathic remedy Hylands #8 which is magnesium! 8 pellets under the tongue. At night. No cramping and works. Also I take super aloe 250. Combined usually successful! Hi Karen, that’s a good idea. Have you had your magnesium levels tested to see if it translates through to the physical body?